When I first flipped through my friend Andie’s cookbook, “Eating in the Middle“, I knew I was going to make this recipe. 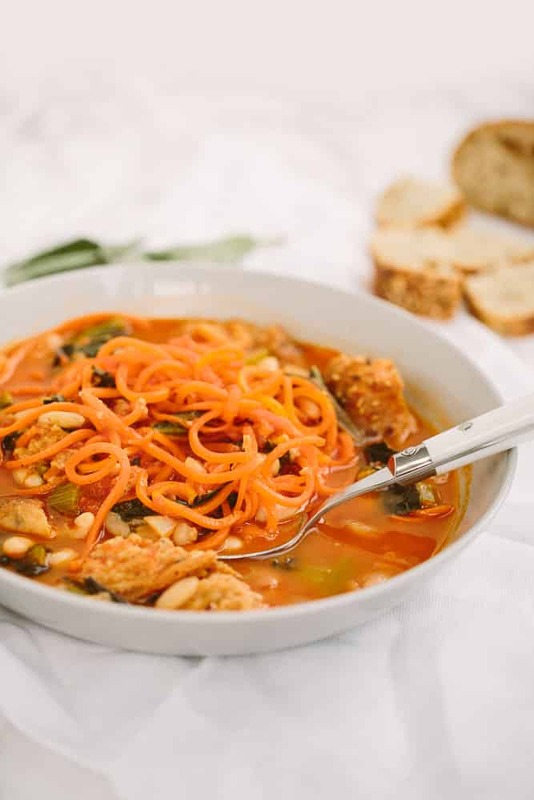 Ribollita is a Tuscan soup that will make your kitchen smell like you’re in the middle of Italy and there are rolling vineyards just outside your window. Really. 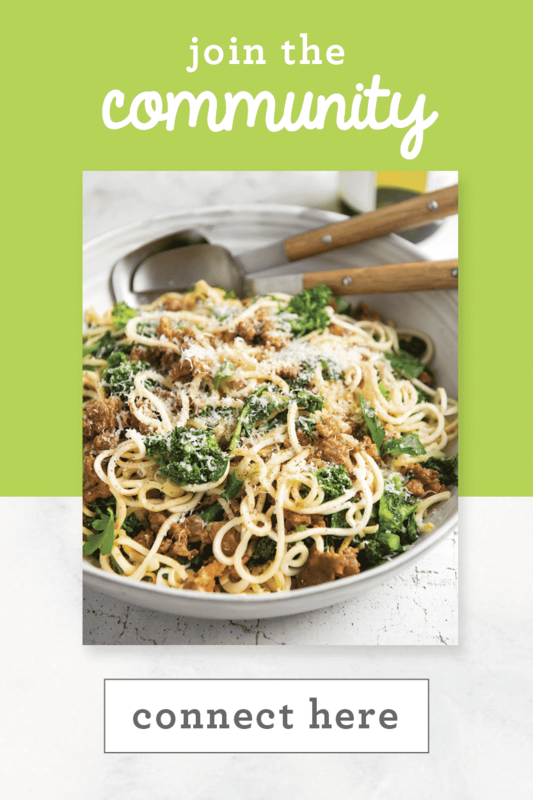 I’m so excited to share this insanely delicious recipe from Andie’s new book – officially out today! If you don’t know of Andie already, well, I’m happy to introduce you! Andie is most famously known for losing 135 pounds and keeping it off. Yes, 135 pounds. She wrote a NY Times bestselling memoir called “It Was Me All Along” that I almost cried through it was so dang good. Aside from that, she runs a blog now called “Andie Mitchell” (previously Can You Stay for Dinner?) where she posts recipes, coffee talks, and shares her journey with food. I’m proud to call her a friend and am even prouder to share a recipe from her cookbook “Eating in the Middle” which publishes today. I love Andie’s approach to cooking: mostly wholesome. This cookbook isn’t gluten-free, vegan, Paleo, but instead, a gentle guide to eating recipes with real ingredients and real flavor. 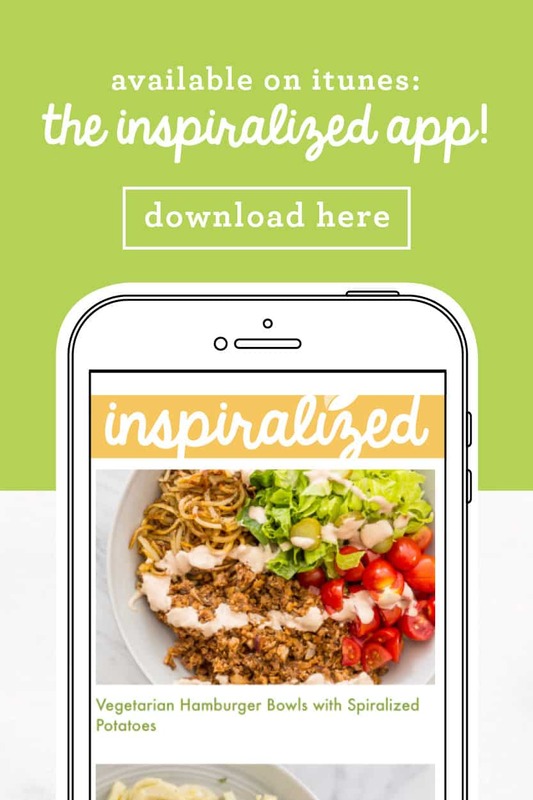 And of course, if you do make this recipe on your own, be sure to hashtag #inspiralized and #eatinginthemiddle! Check out today’s Anchor podcast (2-minutes!) for #TonedTuesday, where I talk about sneaking in fitness throughout the day – without the gym! 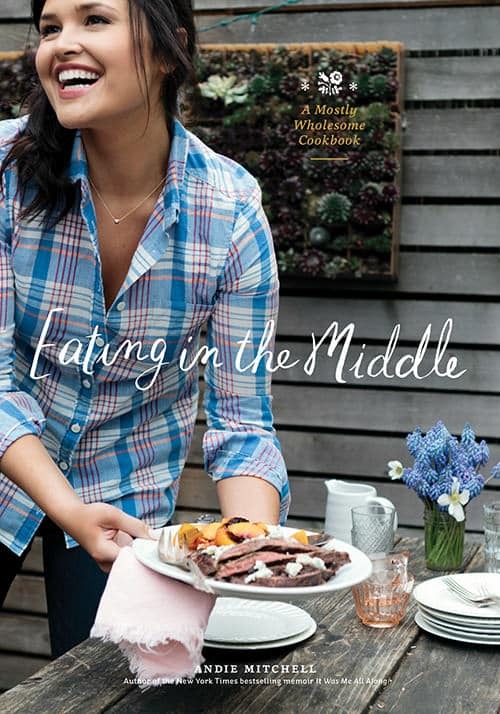 Clarkson Potter is giving away one copy of Eating in the Middle to a lucky reader! To enter, use the widget below. Giveaway ends at 5:00pm EST on Thursday, March 31st. Open to US addresses only. In a large pot, heat the oil over medium heat. Add the onions, and celery, and stir to coat the vegetables in the oil. Cook, stirring occasionally, until the vegetables are beginning to soften, 5-7 minutes. Add the garlic and cook, stirring constantly, until fragrant, about 30 seconds. Add the tomatoes, broth, bay leaf, sage, thyme, and black pepper, increase the heat to medium-high, and bring to a simmer. Add the beans and kale, season with salt, cover the pot, reduce the heat to low, and simmer for 25 minutes. Uncover, stir in the carrot noodles and bread, and simmer for 5 more minutes. This looks so yummy! I forget that carrots can be spiralized. Can't wait to try this out. I'm reading her memoir now and can't wait to get her cookbook! So excited to make this!! Looks great, can't wait to make this and others. Loved reading 'It was me all along'. Great giveaway. I loved her memoir. This tecipe looks amazing. I'm reading "It was me all along" now. I can relate so much more than I ever thought. Brilliant woman. Thanks for posting this!! Heard Andie's interview on Radio Cherry Bomb a few weeks ago and found her so inspiring! Can't wait to check out her recipes. 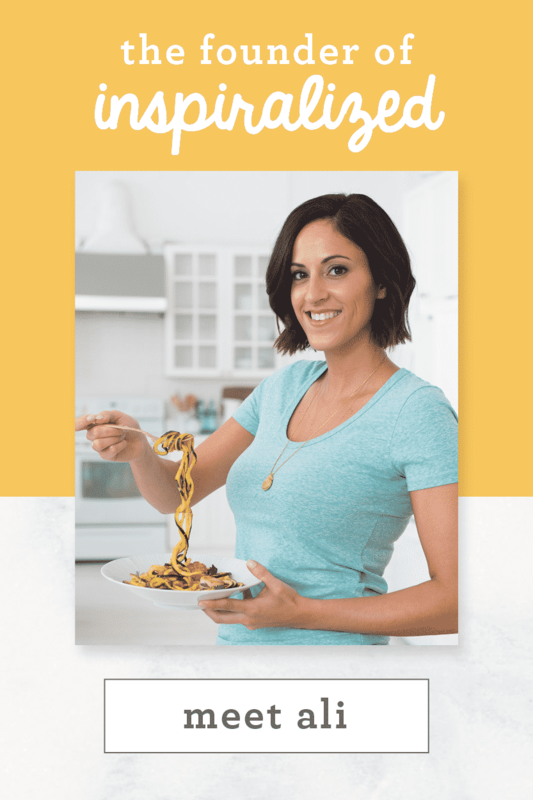 I love Andie's story and would love to explore her recipes in her new book! This looks really good! I look forward to the book. I LOVED the first book Andie wrote and I've been reading her blog for awhile. She seems so down to earth and nice. I really identified with "It was me All Along". I'm so happy for her success. That looks really good; but I can't have kale, but I can substitute for that, I think. This soup would be perfect on a Sunday afternoon, curled up with this book! I love your book and can't wait for the new one to come out! It is so inspiring to inspiralize! Looks fantastic and I can almost smell it from here! Will have to make this ASAP!!!! I really enjoyed Andie's book and am anxious to see her cookbook too! I had never heard of Ribollita before. But this looks wonderful and I am going to the store at lunch to buy the ingredients I don't have so we can have it for dinner tonight! 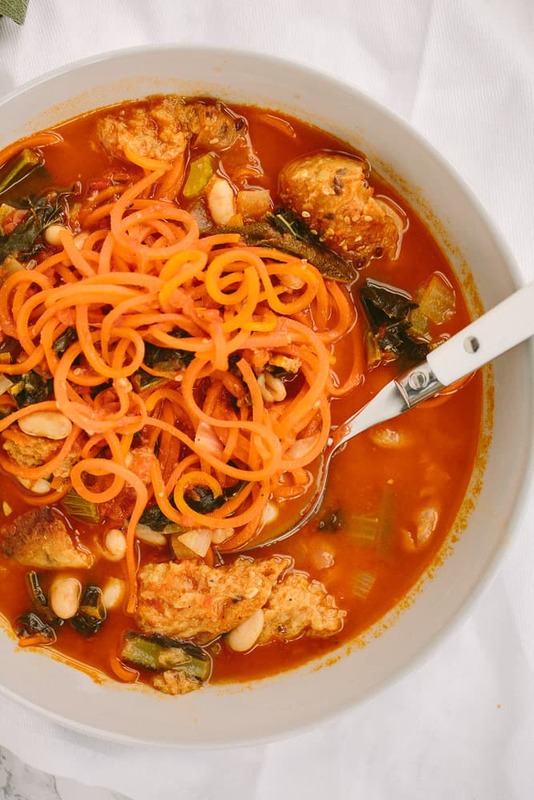 Recently had Ribollita and was pleasantly surprised to see your version here. Can't wait to start cooking, so easy and tasty a dish awaits me. Thanks and the book would be a bonus win. Wow...I can't wait to make this...it looks so yummy! Loving the changes to the soup which make it #vegan but still #delicious. What a beautiful cookbook! This looks delicious! I can't wait to make it! Will definitely have to try this week. This looks SO GOOD!! A must try! Will definitely be ordering Andie's book. Been a fan of her blog for a long time. Can't wait to try this recipe! After seeing your snaps of this yesterday, I can't wait to make it! I've been doing no meat March so your blog has been a huge help this month. I'm going back to seafood when the month ends (and likely never going as far as vegan) but I have a nice big list of recipes to try (including this one) now. This soup I would definitely try as I have some big carrots from the garden!! Spiraling is new to me but I love it. I eat more veggies this way. This looks delicious! I need to find carrots big enough to spiralize. 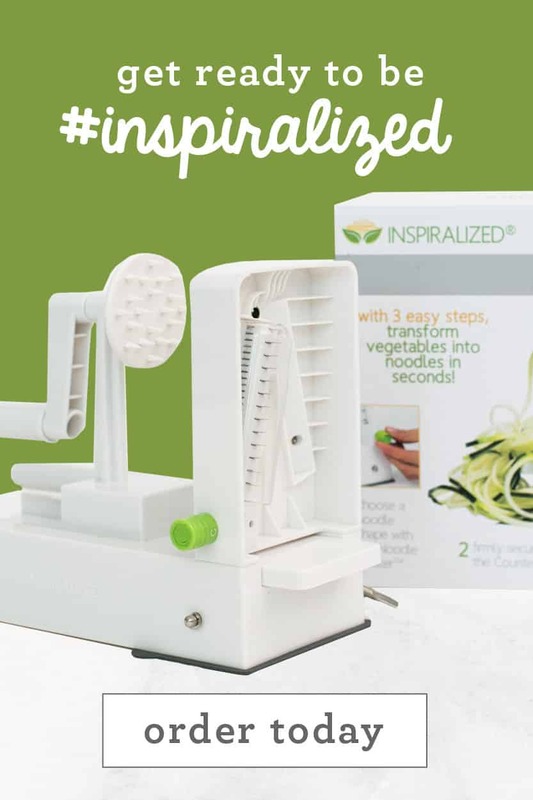 I just got my inspiralizer and it is awesome! You have so many carrot recipes that look so good! I just wish I could find carrots big enough to spiralize!! Trader Joes has spiralized carrots in the freezer section. Thank you, but we don't have Trader Joe in Canada (at leats not Quebec...) ? 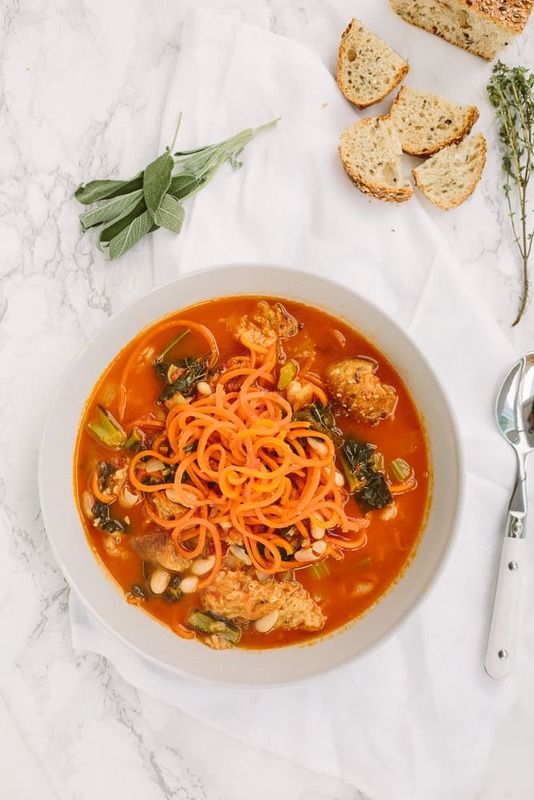 I have never heard of ribollita but it looks tasty! It's going on my to-try list. 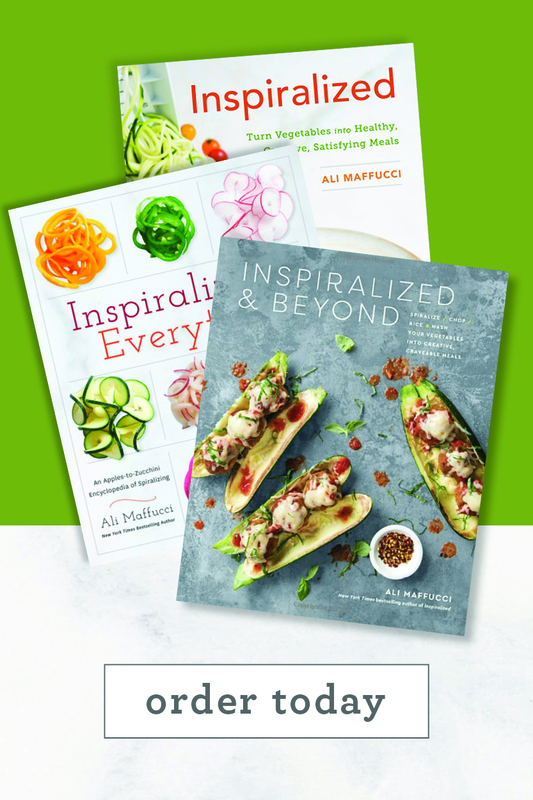 Really excited to check out recipes from Andie's cookbook and incorporate inspiralizing into them! Looks so good. I need to try this recipe soon! I have never spiralized carrots though before. Does anyone think its easy or difficult to do? 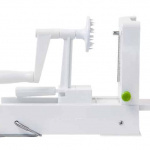 I just got a spiralizer in January and can't wait to try this recipe! What a wonderful addition to my cookbook collection - can't wait to try this recipe. 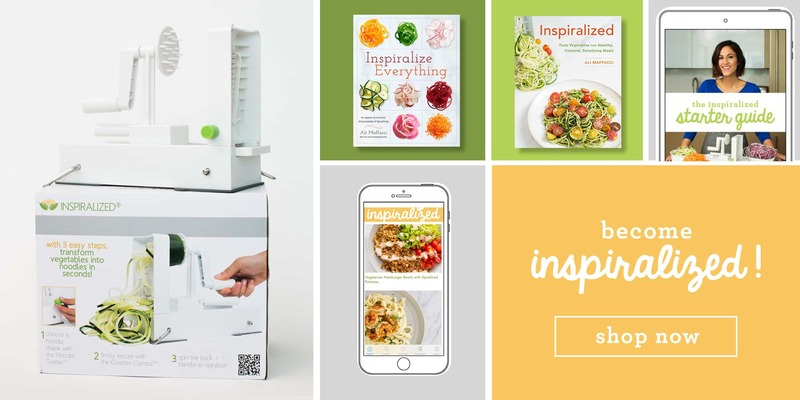 I love my Inspirializer and have already given 2 to family members (along with your first cookbook). Anxiously awaiting your new cookbook! Looks like a lovely book! Thanks for sharing, Ali. Will also look for her biography. Would love to win this cookbook! 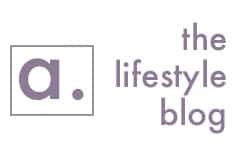 I love both of your blogs. Ali, thank you for sharing this recipe! I made it Sunday evening and loved the flavors. However, I struggled to find a carrot thick enough to spiralize between Trader Joe's & Whole Foods. 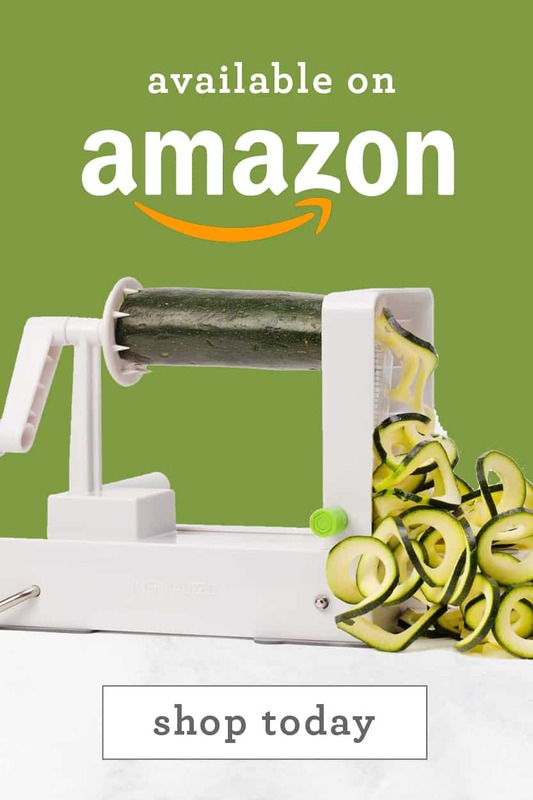 Any tips on where to find the best carrots for spiralizing?